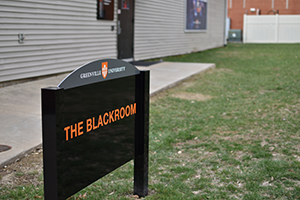 The Blackroom on GU’s Campus. Photo by Ashley Chaney. With many talented musicians here at GU, there was bound to be an event where student talent put to the test. 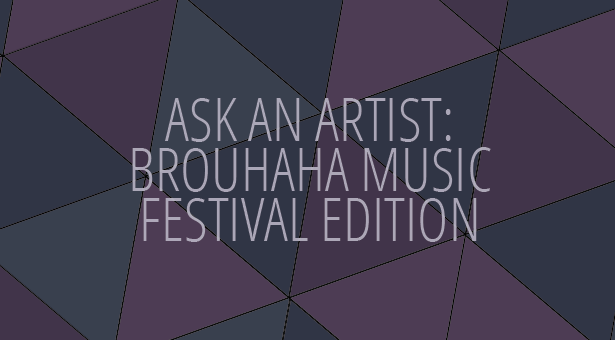 That test came in the form of the Brouhaha Music Festival. The event was originally going to be held on Scott Field but was moved to the Blackroom due to weather. There were different acts like Said the Walrus, Sidequest, Highland, and Oversleeping. The Festival also had solo acts; Cait Scott, Austin Simmons, and Adam Lamb performing from 5-10pm. With a lineup that consists of different artists, I chose two to answer questions about their experience of the show and also what the futures of their music careers hold. The first artist I asked was Cait Scott. 1.) Was this your first time performing at a festival? C: I’ve played quite a few local fairs and festivals around my hometown. My favorite was a fundraising music festival for the Kewanee Humane Society called Raise the Woof! 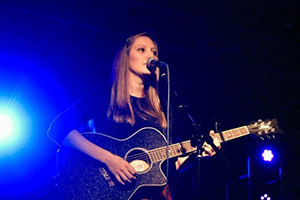 Photo of Cait Scott performing Source: Cait Scott. 2.) What was the feeling you had before your set and how did you feel after? C: Playing outside in the cold for soundcheck made me nervous about how my half-hour set would go. It was a little hectic switching venue but Dan and Luke did a great job dealing with the changes. I’m also always worried about forgetting the words, but thankfully that didn’t happen! 3.) Is there something different you would’ve done during your performance? C: It would have been fun to put together a band for my set! C: Right now I am writing new songs! The hope is to put together an EP or album soon. I’m always down for any shows that pop up too! The second artist I asked to interview was Jesse Taylor from the band Oversleeping. Other members of the band include Ricky Lewis and Dolan Heard. 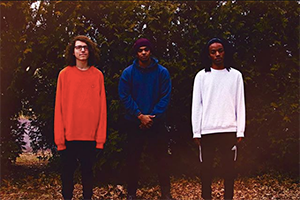 While Taylor plays the electric guitar and does lead vocals, Lewis plays bass, Heard plays drums, and both also do backup vocals. J: This was our first time performing in a “festival” technically; I don’t know if I’d call it a full festival since it was indoors though lol. Photo of Oversleeping members. Source: @oversleepingband on Instagram. J: The feeling before the set was excitement and afterwards was happiness, as the set went pretty well! J: Something different. I don’t know what all we’d do different, maybe try to get more people around for our time slot, but I know there was a time conflict with another event going on at the same time, so it was understandable. J: For future plans, we actually have quite a few new shows set up for this upcoming month as well as some time in the studio recording new material. The future has us all excited, But you [can] follow our socials for that news when it comes. Having events like this at GU allows young artists like Scott and Oversleeping to get exposure and gain a following. With our generation being the future of music, we see that more artists should be put in the limelight to help further music as a whole! Previous articleIt Is Mindy Kaling’s Year! Next articleKJGF #6 It’s Baseball Season Baby!